On July 10, 2018, hundreds of boys and girls celebrated at the Police Athletic League’s (PAL) Harlem Center, located at 441 Manhattan Avenue, in a kick off of PAL’s Summer Programs that take place throughout the city. Youngsters enjoyed summertime fun and games, including rock climbing, nok hockey, tug-of-war, arts and crafts, sports and more. 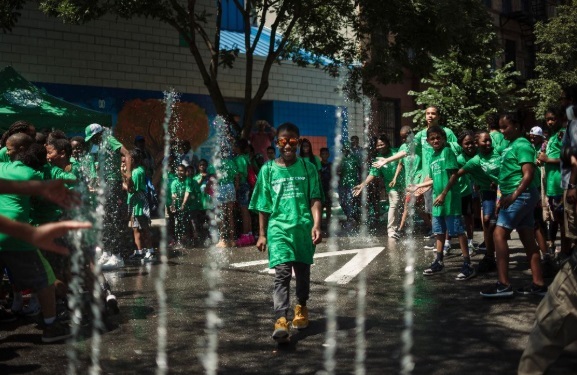 Young people cooled off under a fire hydrant opened by PAL Executive Director Frederick Watts and other distinguished guests. 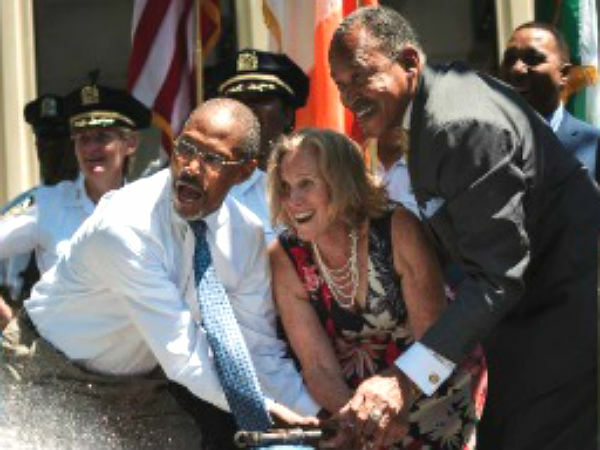 Speakers included NYPD First Deputy Commissioner Benjamin Tucker and Bridget Brennan, Special Narcotics Prosecutor. PAL acknowledged its partnership with the NYPD by honoring Police Officers who have volunteered for PAL’s Cops & Kids program. 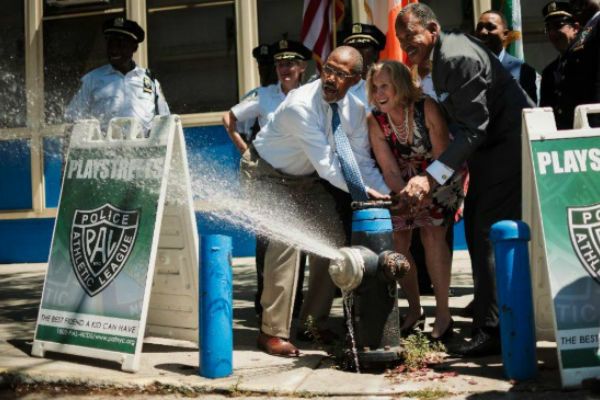 Photo Captions: 1-2) Police Athletic League Executive Director Frederick Watts opens a fire hydrant to celebrate the kick off of city-wide PAL Summer Programs in NYC along with distinguished guests The second photograph is a close-up of photo number one. 3) Youngsters celebrate Police Athletic League city-wide summer programs. Photo Credit: Love Haight Photography. This entry was posted in Harlem, non-profit and tagged Benjamin Tucker, Bridget Brennan, Frederick Watts, Police Athletic League by Harlem World Magazine. Bookmark the permalink.